Arugula salad with peaches, pecans and goat cheese with balsamic vinaigrette is perfect for an easy, light and delicious summer side salad! Well, yesterday brought a big surprise… and not the fun kind. Around lunchtime, our city water folks showed up and announced that we had a buried man hole in our front yard. That needed to be unburied. We had NO idea it was there. It wasn’t part of any paperwork or disclosures when we bought the house. 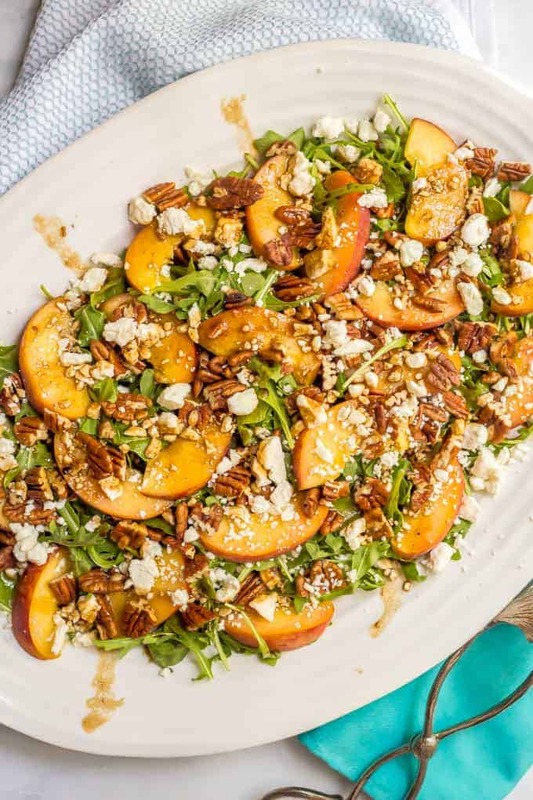 On Monday, I brought you my skillet chicken with peaches and today it’s my arugula salad with peaches, pecans and goat cheese. 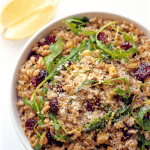 It’s such a pretty, light salad and has all kinds of flavors weaving in and out with each other. 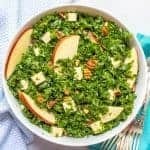 I love how the peppery arugula pairs so well with the sweet, juicy peaches and then you get the nutty crunch from the pecans, topped off with the creamy goat cheese crumbles. 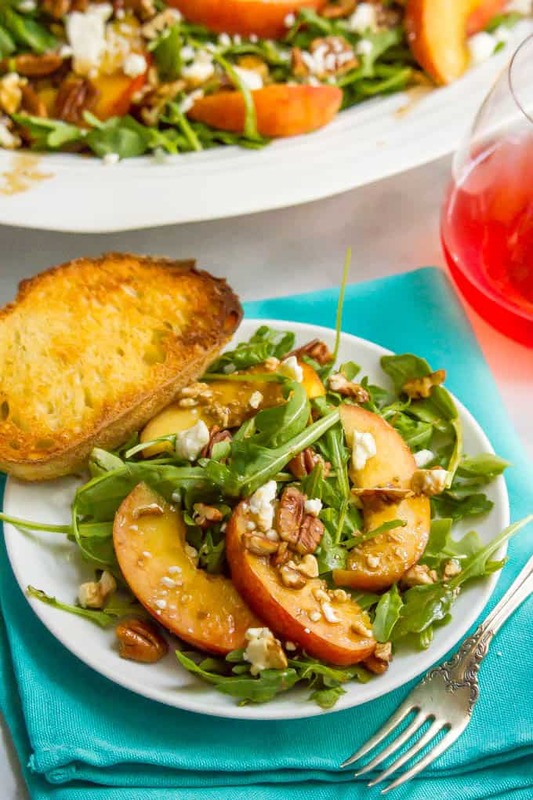 And a great way to use up some of the fresh peaches that I can’t seem to resist buying! 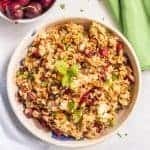 I use pecans, but you could substitute walnuts instead if that’s what you have on hand. 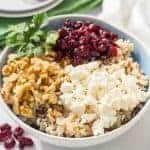 I love this with the creamy, soft goat cheese, but you could use feta cheese or another crumbly cheese if you prefer. 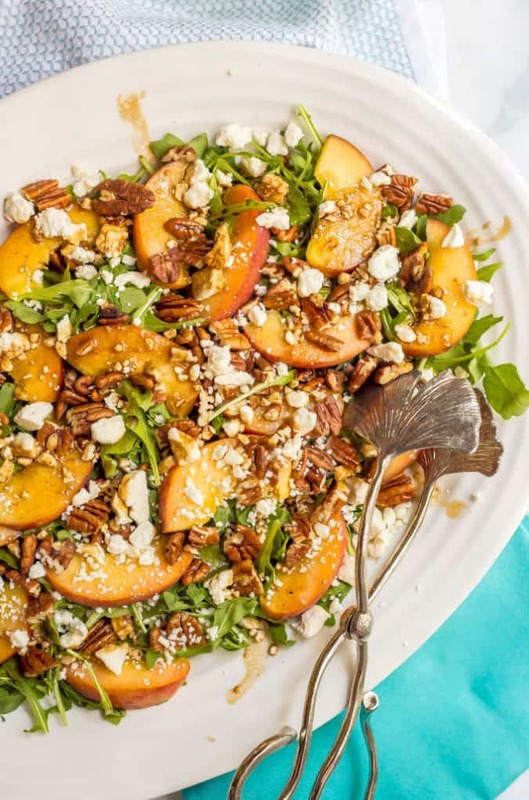 Grab some fresh peaches from the farmer’s market or store this weekend and save a couple for your next salad. Enjoy and happy almost weekend! 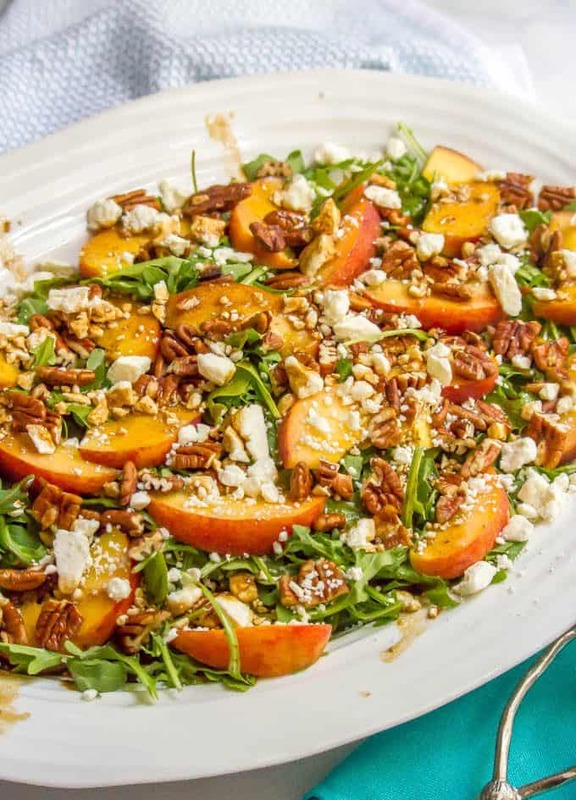 Place the arugula on your salad serving plate and top with the peach slices, pecans and goat cheese. 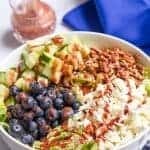 Add the vinaigrette to the salad and toss until it’s well dressed. Serve immediately. 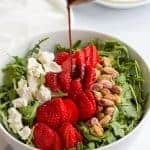 I make my own salad dressings, but you could substitute a store-bought balsamic vinaigrette - or another vinaigrette you love. I think a champagne or citrusy vinaigrette would be great here too.